Important Note: Once your enrollment in the portal is complete, you must take the next step and search for a mentor or mentee in order to match. The portal does not do this automatically. Why do this? Why should you seek mentorship through the AUTM Mentor Match Program? • Receive guidance on how to grow and advance your career in academic technology commercialization from someone who has been in your shoes. • Grow your professional network through your mentor and their connections. Experienced people know other experienced people. • Exposure to different experiences and different ways of thinking. • A sounding board and a "reality check" for your approaches to dealing with career situations and challenges. • An opportunity to give back: When you were first getting started in your career, others helped you find your way. Now you can help someone else find theirs. • AUTM as an organization has always been about professional development and excellence. Being a mentor allows you to play your part as an individual. • An opportunity to be exposed the new thoughts and fresh ideas from your mentee. 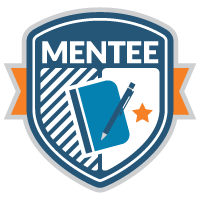 • As a guide for both Mentors and Mentees please view the Mentorship Roadmap specifically designed for AUTM's Mentorship Program. Complete your AUTM profile. Make sure your contact information is up to date, add a recent professional profile picture, expand on your bio and import your education and job history information from LinkedIn. Having a complete and accurate profile is crucial to the success of selection and matching. Profile complete? Return back to this page and move on to step 2. "I have been truly fortunate to be a member of AUTM since early in my career in technology transfer. Now, as a more than twenty-year member and volunteer, the mentorship program provides me a way to give back in a very direct manner to not only give back to the profession, but learn from and network with the next generation that will lead the way in advancing academic innovations." "The AUTM Mentorship Program is a fantastic resource! The program organizers did a wonderful job matching me with a mentor whose experience aligns with my professional interests. 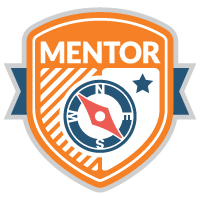 The program provides a “roadmap” for mentors and mentees, which gives helpful guidance for discussion topics and activities while also being open-ended enough to allow for organic interactions. My mentor has been an excellent resource in learning more about the field: she is always available to answer questions, has sent me interesting books, has pointed me towards relevant training courses, and has introduced me to colleagues. I have loved my experience as a mentee and hope to one day be a mentor. I highly recommend the AUTM Mentorship Program for anyone new to the tech transfer field!"